If you, like me, already have several shelves of books on Islam and ministry to Muslims, you may wonder if you have room for one more. 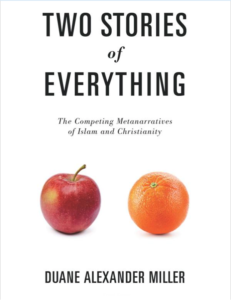 I recommend you make a little space for Duane Miller’s short but potent contribution, Two Stories of Everything: The Competing Metanarratives of Islam and Christianity (Duane Alexander Miller, 2018, Grand Rapids, MI: Credo House). Miller is a leading researcher in the topical area intersecting Christianity, Islam and missions. He has already completed, along with Patrick Johnstone of Operation World, an international study of converts to Christ from Muslim background. 1 His doctoral research has been published as a window on the world of these converts, Living among the Breakage: Contextual Theology-making and Ex-Muslim Christians. 2 He is also a missionary/scholar who has lived about a decade in the Middle East and speaks Arabic. Most importantly, Miller has a fantastic grasp of Christian and Islamic holy texts and their respective histories. ologies and doctrines of the world’s two biggest religions, Miller has emphasized the need to understand the chronological story, or metanarrative, of each faith. 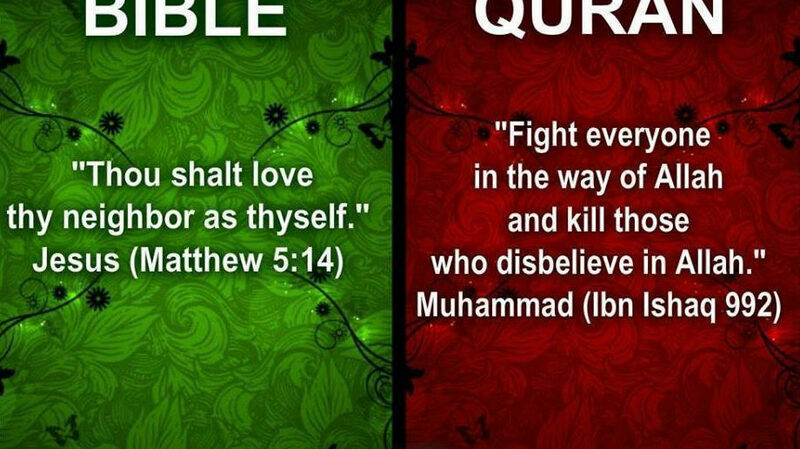 Duane Miller has distilled hundreds of Bible verses, Qur’anic verses and Islamic hadith into coherent grand-narratives which feature similarities and differences. There is real expertise here which the reader can feel. The author rightly points out that the Christian and Islamic narratives begin to diverge because of their respective views of the state of humanity. Islam teaches that main human problem is ignorance (Arabic, jahiliyya) for which Allah’s guidance through prophets is the remedy. Miller contends that the Christian narrative is based on concupiscence, the “innate tendency toward doing what is not good, and all humans share this” (p. 11). Yet, Miller does not leave the metanarratives in a vacuum. He makes applications in his riveting seventh chapter, “The State of the Mission.” He gives the Church a “C” in fulfilling Jesus’ Great Commission; he grades the Islamic “Umma” with a “D” in fulfilling its respective obligation of advancing the Islamic narrative. He handles many hot potato questions, such as “Is Islam a religion of peace?” and “What is the future of Christianity in the West?” Miller’s pessimism about the future of secular Europe will resonate with those who have read Douglas Murray’s The Strange Death of Europe, though these authors come from a different philosophical bent. Miller also addresses whether there is an “essential Islam,” a topic that has become a missiological controversy. Some missiologists have argued that there is no essential Islam and therefore, a “Muslim” could even be a Bible-believing follower of Christ. Miller states, “It is impossible and probably undesirable to essentialize Islam and Christianity. And so, painting with broad strokes is necessary” (p. 51). He goes on later to amplify this point by emphasizing that Islam is not “monolithic” (p. 102). In relation to the issue of Islamic political ambition and the use of force, Miller applies his reasoning to show that Islam falls short of being a religion of peace: “According to the metanarrative of Islam, which has been outlined here, sooner or later some Muslims must try to establish political control or influence, because they need the power of law to enjoin what is right and forbid what is wrong (Qur’an 3:104)—this is the whole purpose of the umma, it is Allah’s will” (p. 102). 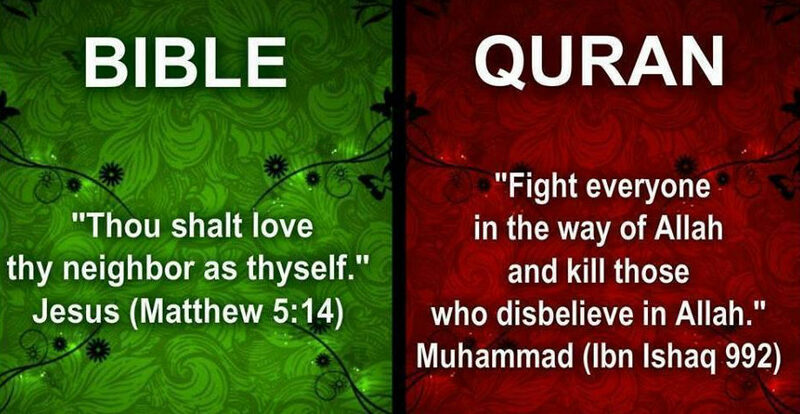 Thus, the only final peace sanctioned by Islam is one in which the world is forced into submissive non-resistance to the shari’a.